[AUDIO] Does China’s Growing Investment in Overseas Aid Lead to More Influence in Places Like Africa? Eric & Cobus speak with the lead author of the study, AidData’s Director Policy Analysis Samantha Custer, to find out why China’s massive increase in both overseas aid and financial lending in recent years have not led to comparable growth in political influence on the ground in places like Africa. AidData Policy Report: Listening to Leaders 2018: Is development cooperation tuned-in or tone-deaf? 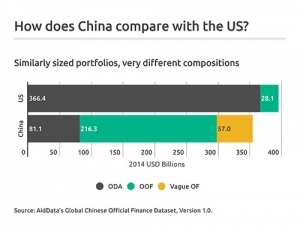 AidData Blog: China’s financial statecraft: Winning Africa one Yuan at a time? 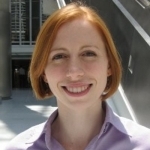 Samantha is the Director of Policy Analysis for AidData. She has co-authored World Bank papers on open data and citizen feedback with the Open Development Technology Alliance, and assisted former US Secretary of State Madeleine Albright to teach a class on foreign policy. Samantha previously advised on multilingual education policy with SIL International and coordinated the advocacy efforts of the Asia Multilingual Education Working Group for UNESCO. She holds a dual MS in Foreign Service and Public Policy from Georgetown University.